Best Ice Fishing Flasher Reviews in the Market Today! Home » Best Ice Fishing Flasher Reviews in the Market Today! Choosing an ice fishing flasher has never been so easy. Below, you’ll find a wide assortment of ice flashers available online today. 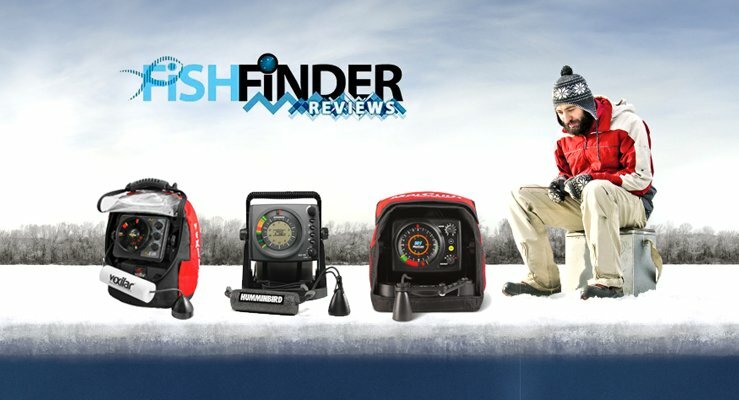 Whether you’re an avid ice fisherman or just learning, using an ice flasher to find the best fishing holes is something you definitely want to consider. Not only will they save you time, but you’ll certainly increase your chances of coming home with a cooler full of fish! Having such an incredible ice fishing scouting tool by your side is something that is hard to explain and can only be appreciated with hands-on experience. Show your buddies who’re king fisherman by finding the best fishing spots with today’s technologies, fast and efficiently. Vexilar has been making flashers for ice fishing for at least 25 years, Vexilar FL 8se is a classic. Economical, very popular. It has a great reputation for high-quality components and is tough as nails. Ideal for someone who wants to carry his flasher in a bucket, this unit was actually designed to fit into a 5-gallon bucket. Attention to detail is king. You get a whole bunch of practical features that will make your life easier: rod holder, tackle box, universal transducer holder, cable holding cleats and a 12 Volt, 7 amp-hour battery with charger. Experienced ice fishermen love the flat screen display Vexilar came up with. You see the screen better at an angle and it is larger. Never miss a possible fish bite because you can’t see the screen properly. Very sturdy fish finder, built for winter. Velixar FL 12 was actually designed to fit into a 5-gallon bucket. The Vexilar FL-18 (Pro Pack II) is ideal for the ice fisherman who wants a digital display and split screen options. See the bottom 6-feet and the whole water column at the same time. Avid ice fishermen love this feature when they are fishing for fish that like to stay near the bottom, like Perch or Walleye, often times in a deep lake. More information from your sonar means more fish in your bucket. As with all Vexilar flashers, you get the very practical standard features Vexilar is known for: a rod holder, tackle box, universal transducer holder, cable holding cleats. You also get additional power with the 12V, 9 AMP-hour battery with charger. Durable, reliable. The Vexilar FL-20 Pro Pack II is a step up from the FL-18 model for fishing in a deepwater environment. It performs well down to 300′ instead of 200′ for the FL-18. In addition, the auto-zoom mode is able to show either the bottom 6-feet or the bottom 12-feet. Great for deep water fishing especially when looking for Perch or Walleye who like to stay near the bottom. The 20′ Low Power range setting is very handy for fishing in shallow water or thick weeds. Very versatile ice flasher adjustable for shallow water ice fishing as well as deep water ice fishing. The FLX-28 Pro Pack II is Vexilar’s top ice fishing flasher. In addition to the many capabilities of the other models, The Vexilar FLX 28 has Auto Range making it a no-brainer to find the optimal depth range, plus more color palettes to suit every taste, and even a Demo mode so you can show in Vexilar fans how the system works with a lifelike fish catching simulation to watch. Very versatile, sturdy and reliable ice flasher adjustable for shallow water ice fishing as well as deep water ice fishing. The soft pack carries case included. This is the model diehard ice fishermen go for. The Humminbird Ice 35 is our most popular model, it works flawlessly under the harshest winter conditions. Humminbird packed a whole bunch of features into this model, it delivers a solid performance at a reasonable cost. This model uses the same basic technology as its cousins, the Humminbird ICE 45 and Humminbird ICE 55, the difference being in the bells and whistles. This is the model that gives you the same durability as the ICE 35, with the addition of useful and practical features, especially for those who prefer the get their information displayed as numbers on the screen. The Humminbird Ice 45 works flawlessly under the harshest winter conditions. You get a lot for your money with this model, a good well-rounded fish finder. You can rely on the Humminbird ICE 45 ice flasher to find your spots and keep your cooler full. You know who you are. You do not ask yourself “Why do I need this”, you ask “Why don’t I have this?”. This is a model for you. A sturdy, reliable unit, easy to use, has all the extra capabilities you want in a flasher: LCD center digital display, auto-depth mode, powerful output, choice of color palettes, target selection and … Humminbird Ice 55 comes with a portable bag. Nobody likes to replace a broken piece of equipment, but it certainly beats having to buy a complete new unit. If you are using own XI9 19 or I9 20 ice transducer, this replacement mounting hardware will do the job. If you already own a ICE-55 fish finder, then you do not need this case, it already came with it. For the ICE 35 and 45, this case is a useful complement to keep your flasher a bit warmer and protect it from the environment. You will be glad to have one if ever your precious flasher decides to take a dive into a foot of snow while you’re setting it up. Compatible with all Humminbird ice flashers. No shuttle, battery, or charger. Forgot to charge your ice flasher battery? Charged it but you’re out of juice after hours of ice fishing? It happens. With this cigarette adapter, you can easily power your ice flasher right off of your vehicle’s cigarette/accessory port. Compatible with all Humminbird ice flashers. Powers unit, does not charge battery. There’s nothing like customer satisfaction to describe this entry-level flasher: “I’ve been on the fence for the last three years on whether or not I wanted to spring the money for a flasher and could not decide which one to buy. Well, I finally decided on the Marcum VX 1 due to the low price and zoom. I can now say with certainty that I am done with trap fishing! Jigging with the Marcum was a blast and definitely helped me catch more fish. The bottom zoom feature was way more useful than I thought it would be. I suggest watching some YouTube videos to understand the information that is displayed before heading out for the first time”, says Grungy. This model is functional, durable and user-friendly with features that satisfy the needs of the casual or occasional angler. What if someone told you the following: “I had never used a flasher before and after years of people telling me it would make me more effective at ice fishing I finally broke down and bought this one [LX-5]. I have been ice fishing every year for well over 35 years now and all I can say is WOW! It makes finding and getting on the fish so much faster than I ever could have possibly believed …” These words are from Mr. Canfield, satisfied owner of the original Marcum LX-5 ice flasher. This model is very popular and you can see why. It offers outstanding target separation and a large vivid display with a dual-beam ice transducer. The Marcum LX 5 comes virtually ready to fish. The principle behind sonar is simple: a pulse of sound waves, at ultrasonic frequencies, is sent into the water where it bounces off a target and comes back to the source (ultrasonic waves are pitched too high for humans to detect). The distance and location can be calculated by measuring the time it takes for the sound to return. A fish finder uses sonar to locate structure, bottom composition, as well as depth directly below the transducer. A fish finder consists of two components: the control head and the transducer. The control head contains the transmitter and receiver, as well as the user controls and display. The transducer is suspended beneath the water, underneath the ice, and converts electrical energy from the transmitter into mechanical pulses or sound waves. The transducer also receives the reflected sound waves, converts them back into electrical signals and then uses the reflected signal to interpret depth, size, and composition of an object for display on the screen. NOTE: The transducer must be submerged in water for reliable transducer detection. The bottom of the transducer should be even with the bottom of the ice or hang slightly below the bottom of the ice. Sonar is very fast. A sound wave can travel from the surface to a depth of 240 ft (70 m) and back again in less than 1/4 of a second. SONAR is an acronym for SOund and NAvigation Ranging. Sonar utilizes precision sound pulses or “pings” which are emitted into the water in a teardrop-shaped beam. The sound pulses “echo” back from objects in the water such as the bottom, fish and other submerged objects. The returned echoes, or signals, are displayed on the screen, as colored lines on the flasher dial shown in this example. Displays vary with the different models, be it flasher or LCD fish finders. The sound pulses are transmitted at various frequencies depending on the application. Although some fishfinders may use a single frequency, most fish finders can operate at two frequencies (or more) giving you the option of choosing the frequency and coverage of your sonar. For example, a 455 kHz frequency provides narrow coverage with the greatest definition. A 240 kHz frequency provides wider coverage and a good balance between depth performance and resolution. The power output is the amount of energy generated by the sonar transmitter. It is commonly measured using two methods: Root Mean Square (RMS) measures power output over the entire transmit cycle. Peak to Peak measures power output at the highest points. The benefits of increased power output are the ability to detect smaller targets at greater distances, the ability to overcome noise, and enhanced depth capability. Most fish finders use selectable dual-frequency sonar with a wide area of coverage. Selectable dual-frequency gives you the option of two beams, and both beams will cover the bottom and provide high definition. In this example, the 9-degree center beam provides the highest definition, while the 19-degree beam provides wider coverage. Depth capability is affected by such factors as bottom hardness, water conditions, and transducer installation. Whether fishing in shallow to very deep water, in both fresh and salt water, selectable dual-frequency is ideal for a variety of conditions.